1. The International Monetary Fund (IMF) has trimmed its growth forecast for India to 7.3% for the current fiscal, from 7.5% predicted in July, although it maintained the country’s near-term growth prospects still remained favorable. The multilateral agency also cut its projection for global economic growth to 3.1% for 2015. .
2. Writer Nayantara Sahgal has returned the prestigious Sahitya Akademi Award, recording her protest against what she calls a "vicious assault" on India's diversity and debate, and the government's failure to safeguard it. Ms Sahgal, 88, is the niece of India's first prime minister Jawaharlal Nehru. She received the literary award in 1986. 3. Easing norms for foreign ownership of government debt, RBI announced higher investment limits in rupee terms in government securities by foreign portfolio investors (FPIs) with a view to bringing in an additional Rs 1.2 lakh crore by March 2018. The announcement follows a decision by RBI to fix FPI investment limits in rupee terms and raise it in phases to reach 5 per cent of the outstanding stock by March 2018. 4. The Union Cabinet chaired by the Prime Minister Shri Narendra Modi, has approved the protocol amending the Convention and the Protocol between India and Israel, and between India and Vietnam for avoidance of double taxation and for prevention of fiscal evasion with respect to taxes on income and on capital. 5. The Union Cabinet chaired by the Prime Minister Shri Narendra Modi, gave its approval for setting up of three new All India Institutes of Medical Sciences (AllMS) at Nagpur in Maharashtra, at Manglagiri in Andhra Pradesh and at Kalyani in West Bengal under Pradhan Mantri Swasthya Suraksha Yojna (PMSSY). This involves financial implication of Rs.4949 crore. 6. The Union Cabinet chaired by the Prime Minister Shri Narendra Modi, approved the construction of a National War Memorial and a National War Museum at Princess Park, near India Gate, New Delhi in memory of all Indian soldiers who have made the supreme sacrifice for the country post-independence. The estimated cost of the project will be around Rs. 500 crore and the total time for completion of the entire project is estimated to be five years. 7. Union Home Minister, Shri Rajnath Singh, presented the Award of Excellence to Shri Rajiv Ranjan Verma, Director General / RPF, for the commendable contribution of Railway Protection Force (RPF) during “Operation Smile”, in the field of Anti Human Trafficking. It was presented in a function on National Conference of Anti Human Trafficking held at New Delhi on 07.10.2015. 8. The Union Cabinet chaired by the Prime Minister Shri Narendra Modi, has given its ex-post facto approval to the protocol for cooperation in the field of blue economy which was signed between India and Seychelles during the visit of the President of Seychelles to India on August 26, 2015. 9. Sweden's Tomas Lindahl, the US-based Paul Modrich and Turkish-born Aziz Sancar won the 2015 Nobel Prize for Chemistry for work on mapping how cells repair damaged DNA. 10. Ahmed Mansoor of UAE has been was awarded the Martin Ennals award. The award is named after the former secretary general of Amnesty International. This is also known as nobel prize of human rights. 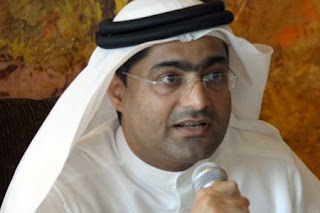 He campaigned for freedom of expression and greater political and civil rights in the United Arab Emirates since 2006, and successfully pushed for the liberation of two bloggers jailed for highlighting social problems in the country. 11. The Union Cabinet chaired by the Prime Minister Shri Narendra Modi, has given its approval for the formation of a Group ‘A’ service of the technical cadre of the Ministry of Skill Development & Entrepreneurship (MSD&E). This was earlier called the Directorate General of Employment & Training, Ministry of Labour Employment. The new service will be called the Indian Skill Development Service (ISDS). 12. The State Secretary for Home Affairs, Sweden, Ms. Ann Linde called on the Minister of State for Home Affairs, Shri Kiren Rijiju. During the meeting both the Ministers discussed various issues of importance to the two countries including Disaster Management, threat of Islamic State of Iraq and the Levant (ISIL) and radicalization and steps being taken for counter-terrorism etc. 13. The Cabinet Committee on Economic Affairs (CCEA), chaired by the Prime Minister Shri Narendra Modi, has given its approval to: (i) implement the World Bank assisted National Watershed Management Project "Neeranchal" with a total outlay of $357 million (Rs 2142.30 crore at Rs. 60 = $1 Government Share 50%) (ii) implement the project at the National level as well as in the nine States of Andhra Pradesh, Chattisgarh, Gujarat, Jharkhand, Madhya Pradesh, Maharashtra, Odisha, Rajasthan and Telangana.